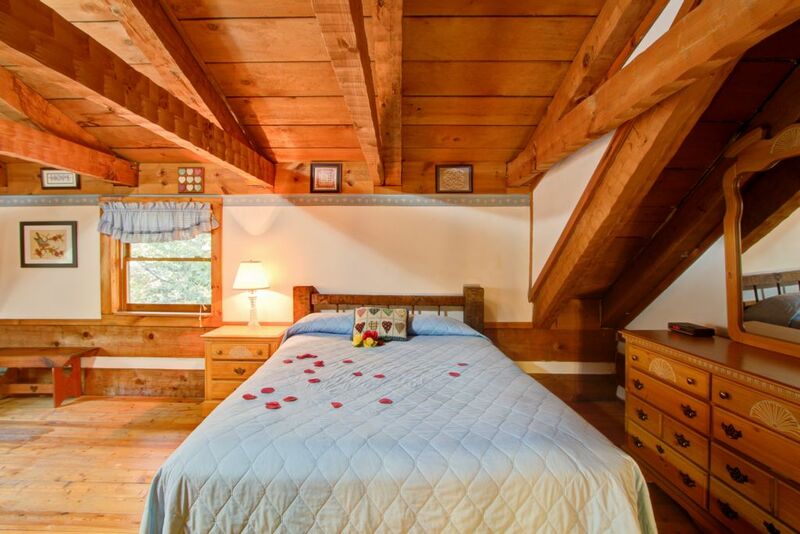 ‘HEARTS BURSTING WITH LOVE’ is the perfect place to spend a honeymoon, anniversary, birthday, special celebration, vacation or weekend getaway. 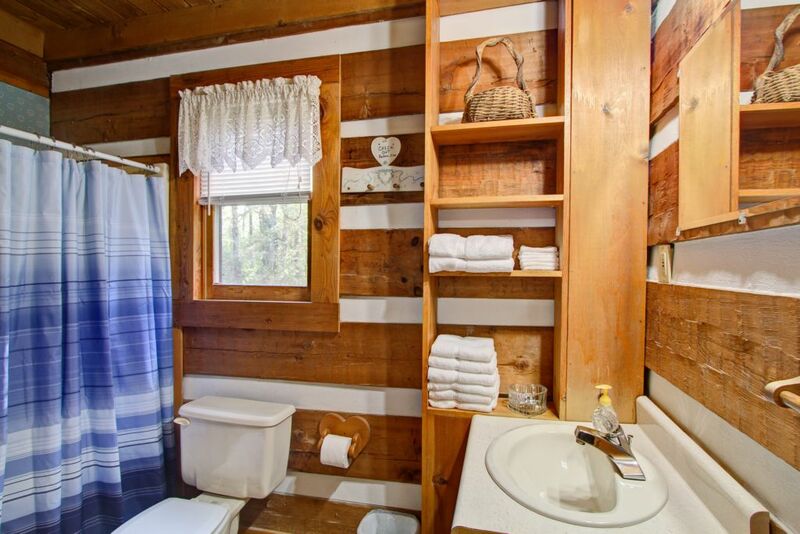 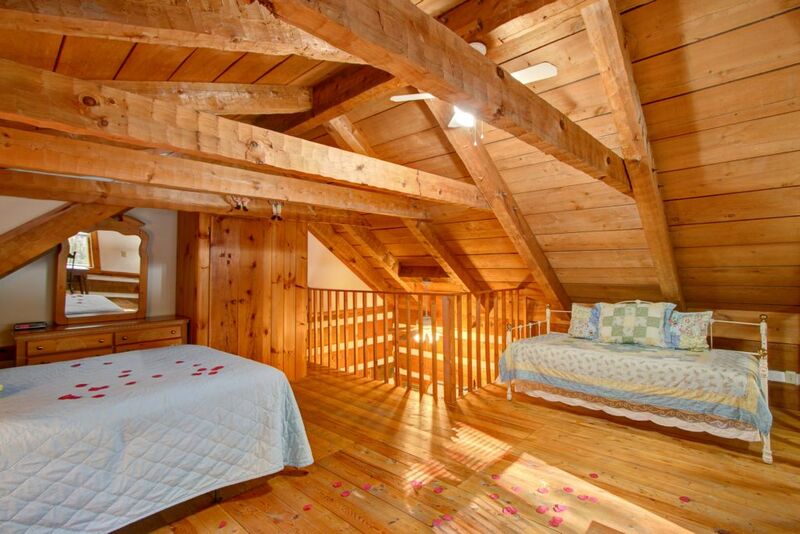 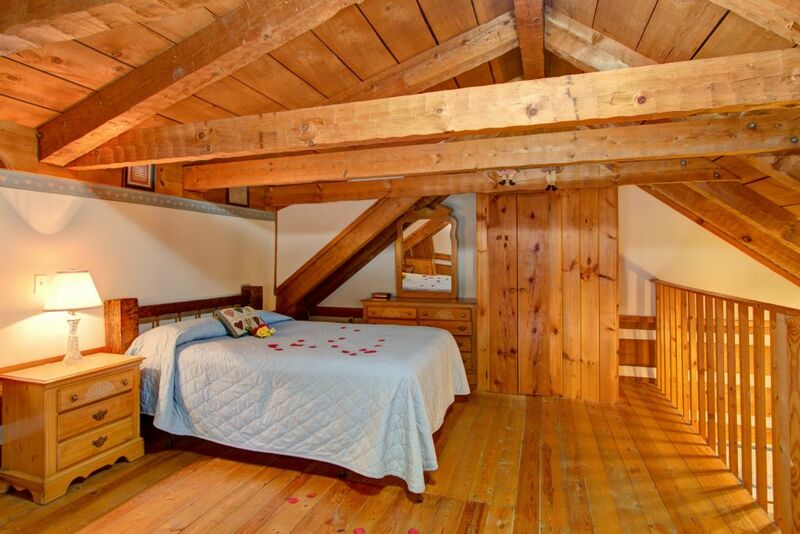 This one-bedroom cabin is great for couples anytime. 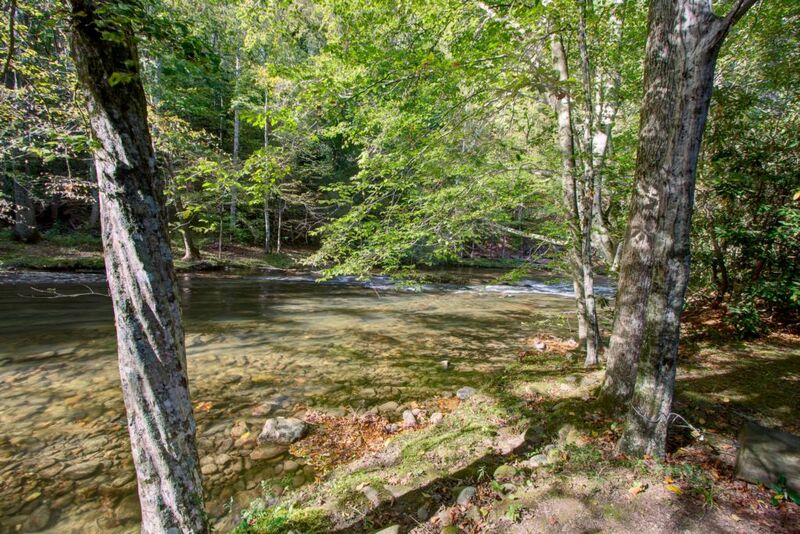 It is just steps away from Cosby Creek with it relaxing sounds of ever moving water, our very own natural ‘water feature’!! 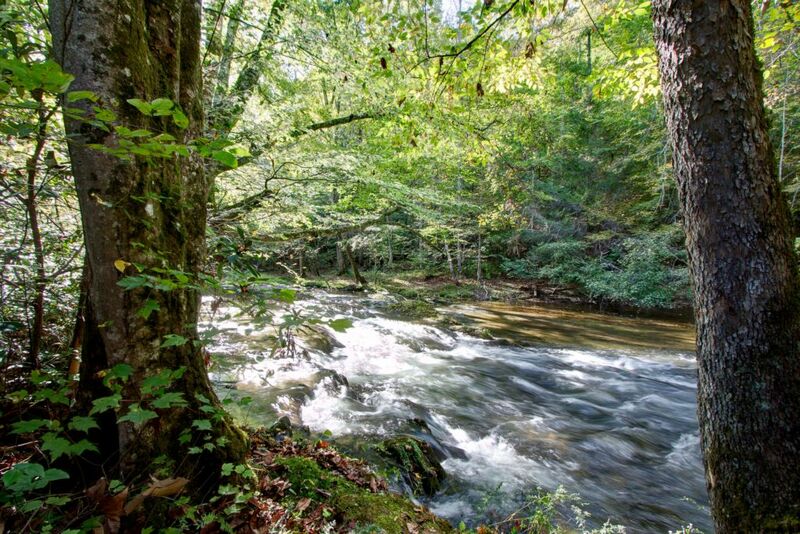 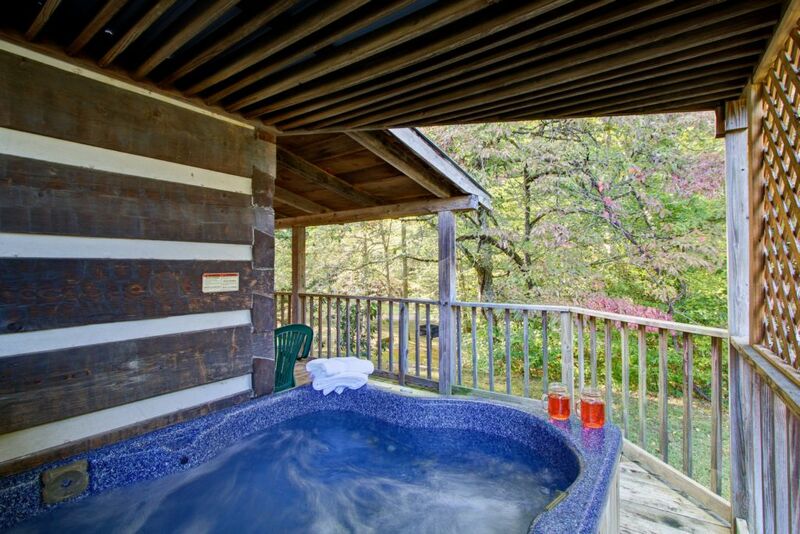 It is secluded, but easily accessible to the Smokies, Gatlinburg, Pigeon Forge, Cherokee, NC and other local and area attractions and entertainment. 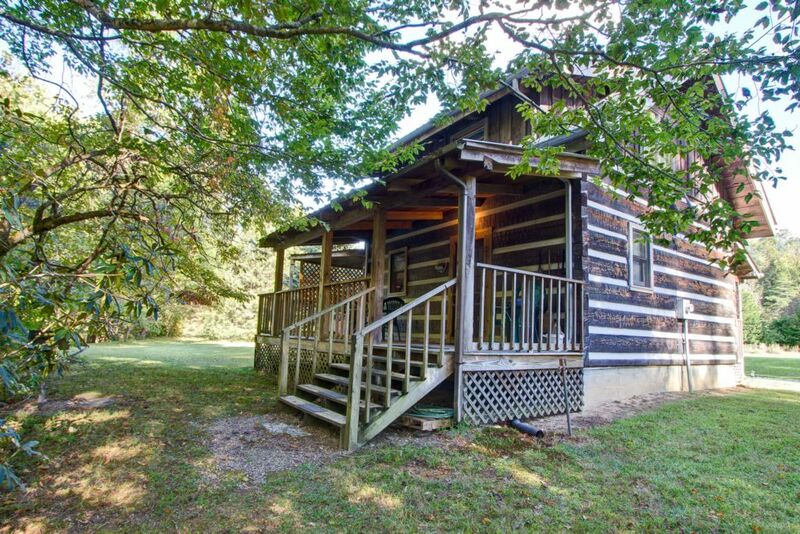 ‘HEARTS BURSTING WITH LOVE’ is a ‘Hand Hewn’ log cabin located in the foothills of the Great Smoky Mountains National Park in Cosby, TN. 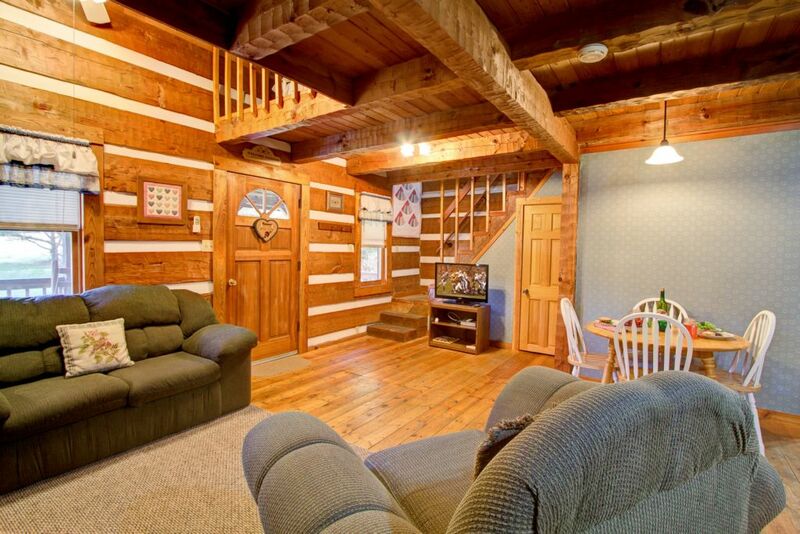 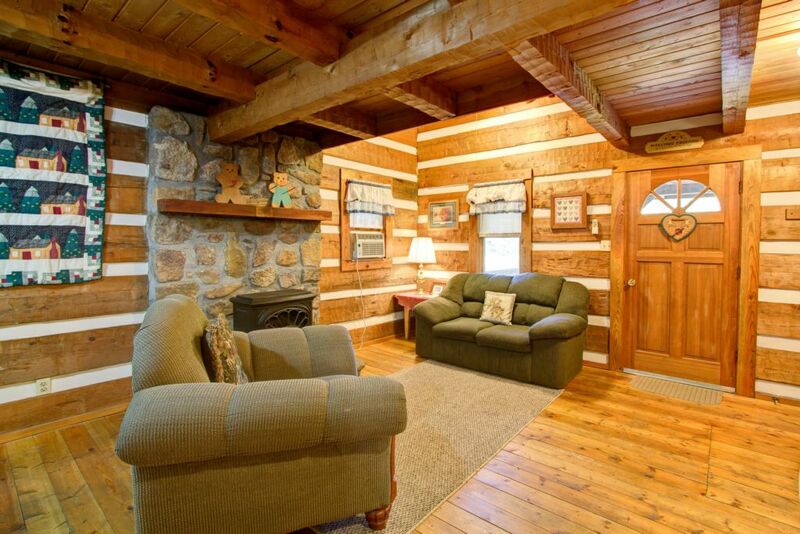 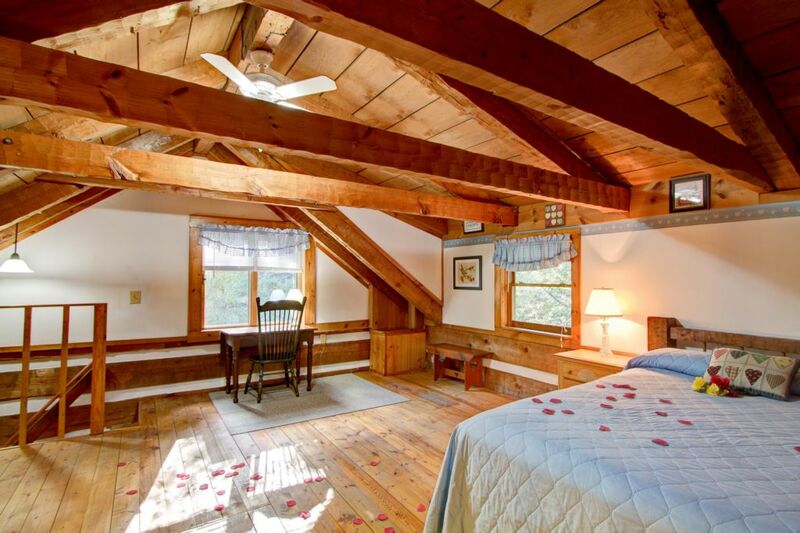 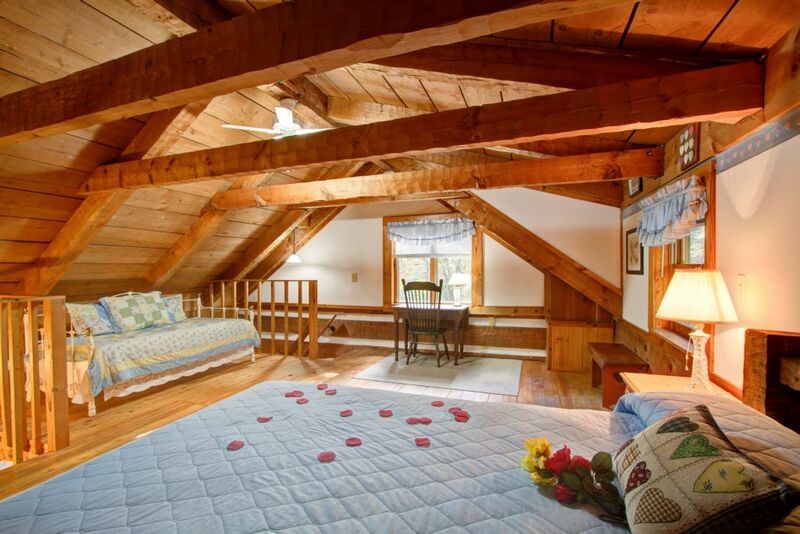 The cabin is rustic in atmosphere with exposed beam ceilings throughout. 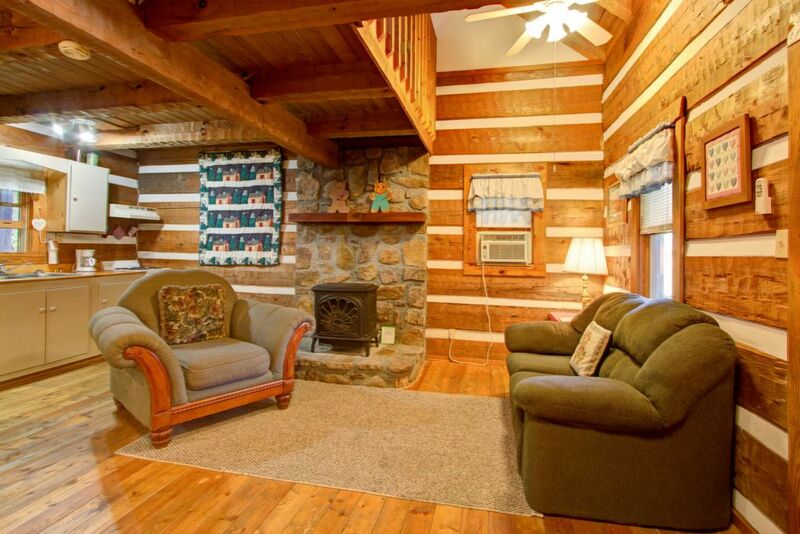 It has most of the comforts and modern conveniences of home, maybe more. 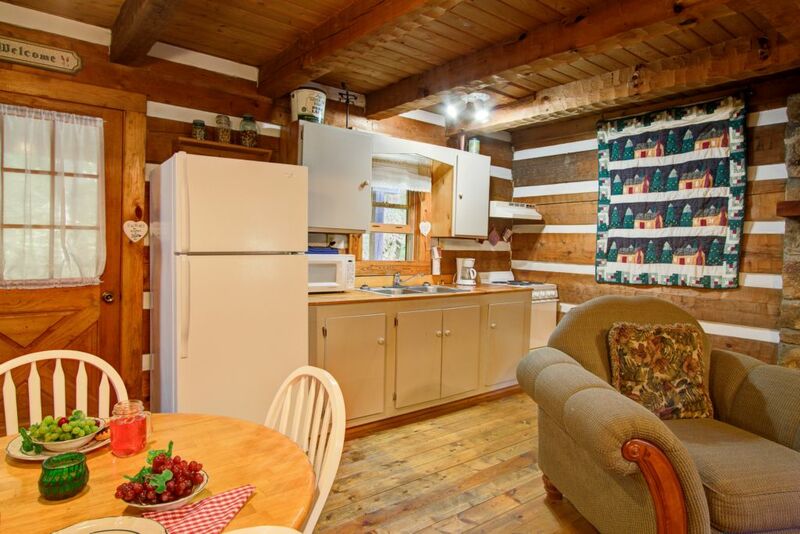 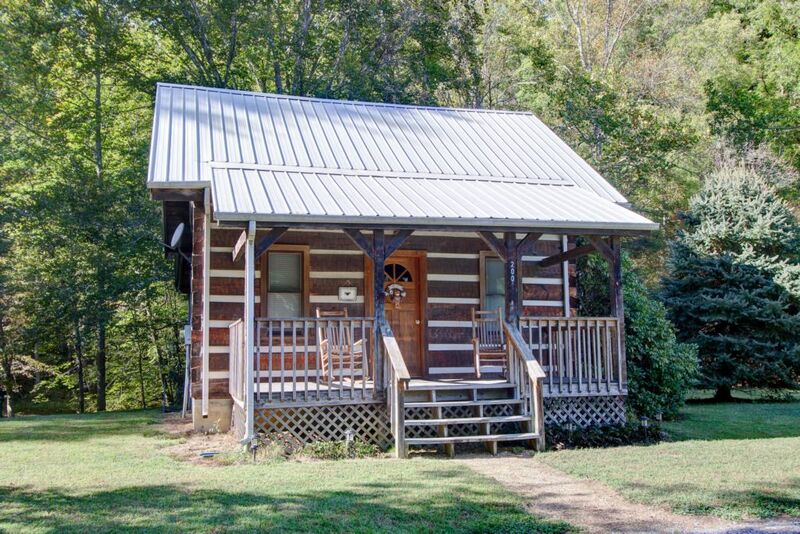 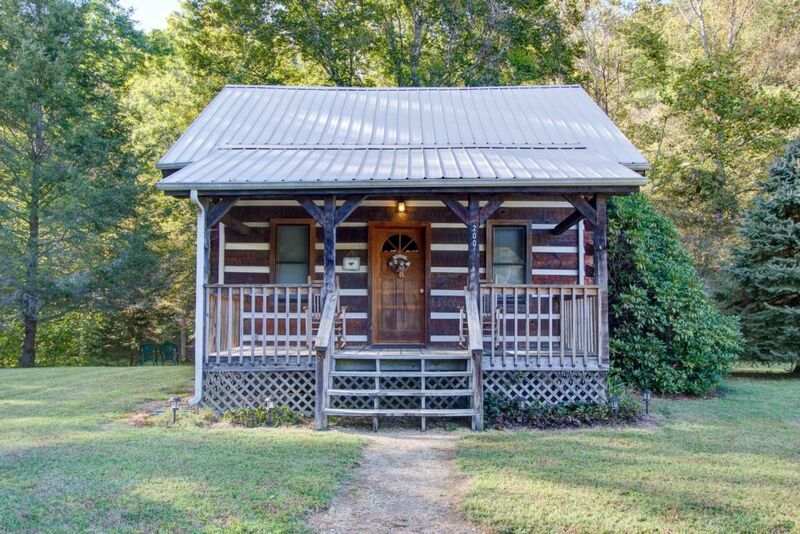 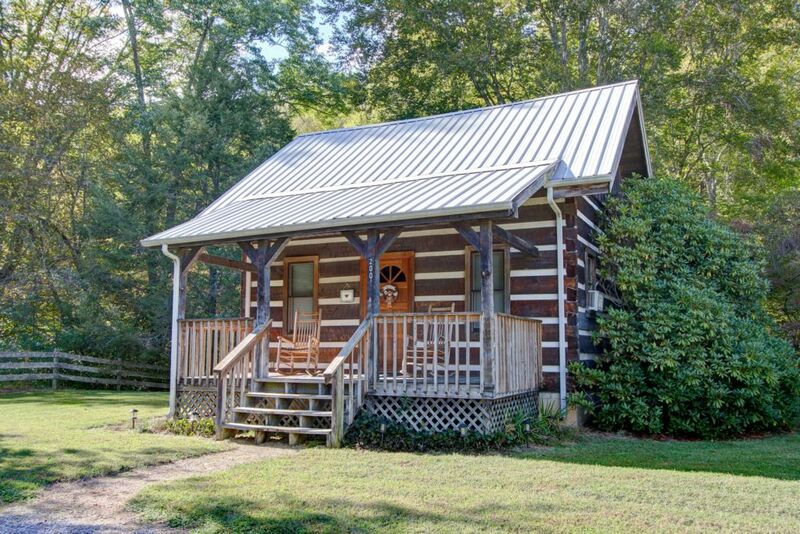 This cabin features a kitchen, dining area, living room and bathroom downstairs and a bedroom with a queen bed upstairs. 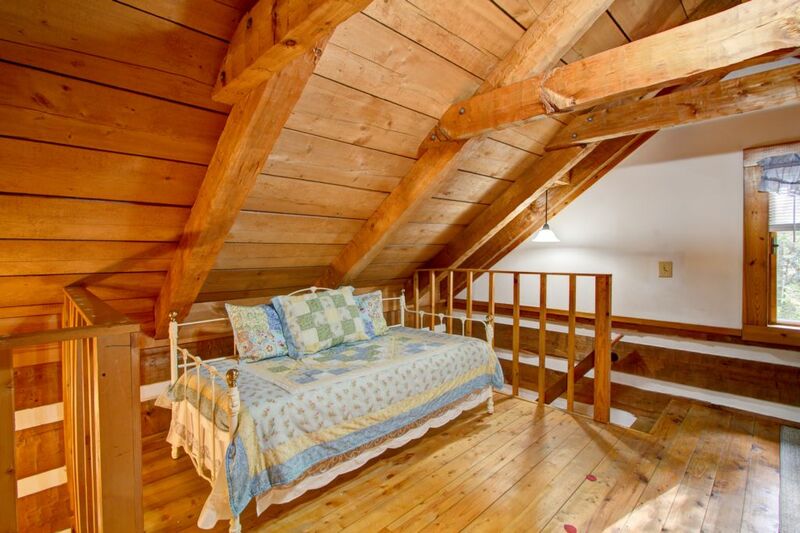 A daybed (upstairs in the bedroom) provides additional sleeping for an extra adult or for the convenience of guests with young children. 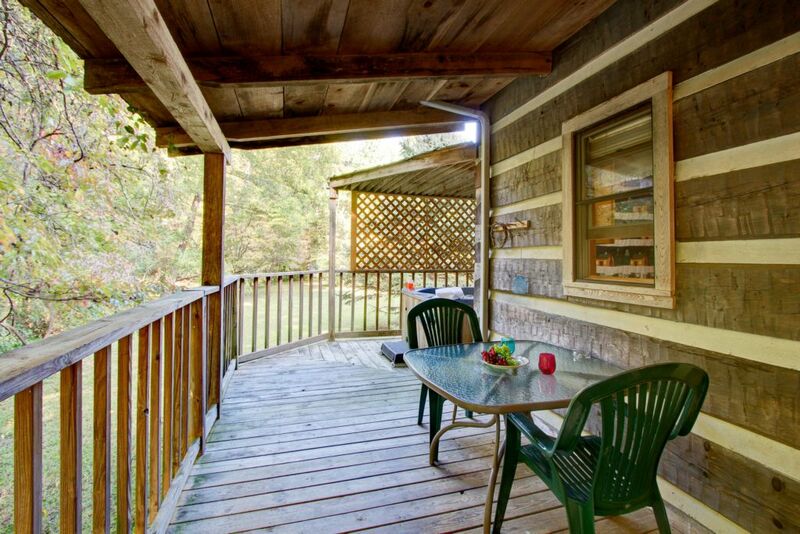 The cabin has two covered porches for your outdoor living enjoyment. 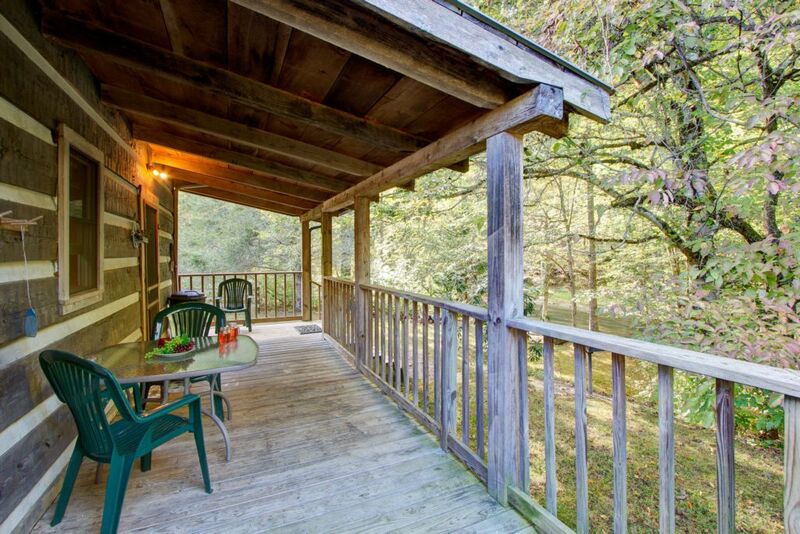 The back porch is usually the favorite. 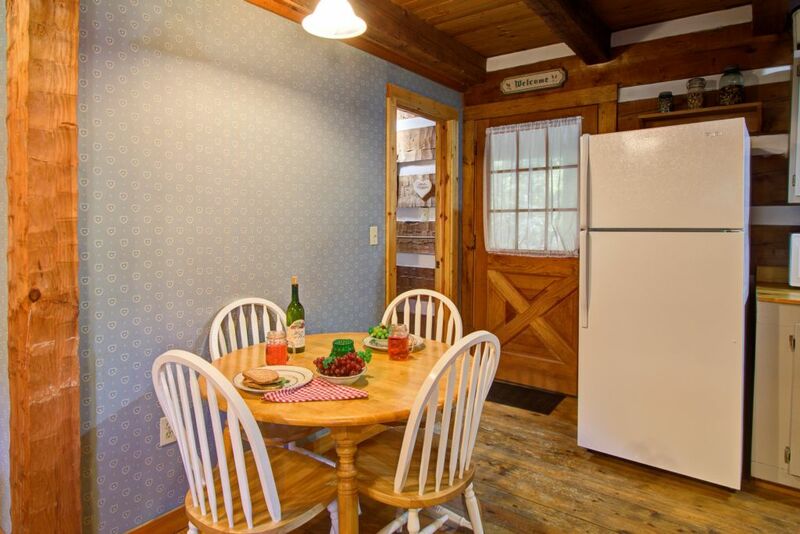 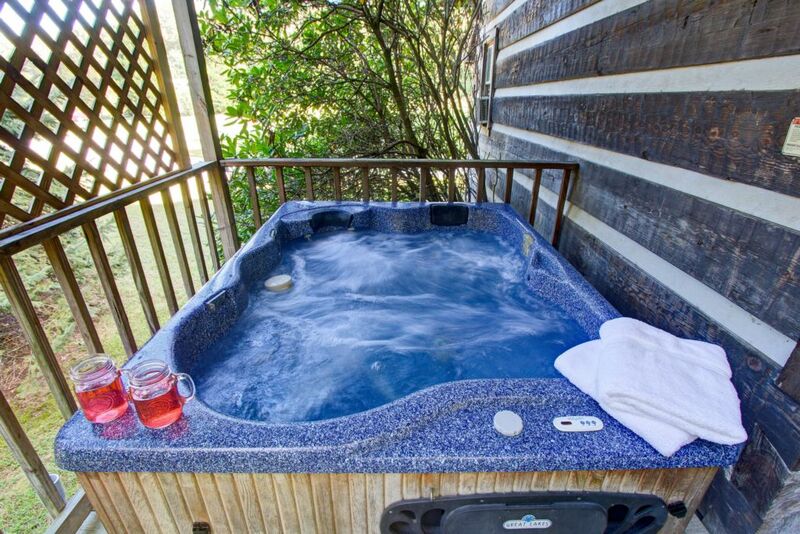 There you can enjoy Cosby Creek as you prepare supper on the grill, enjoy a meal, or relax in the Hot Tub. 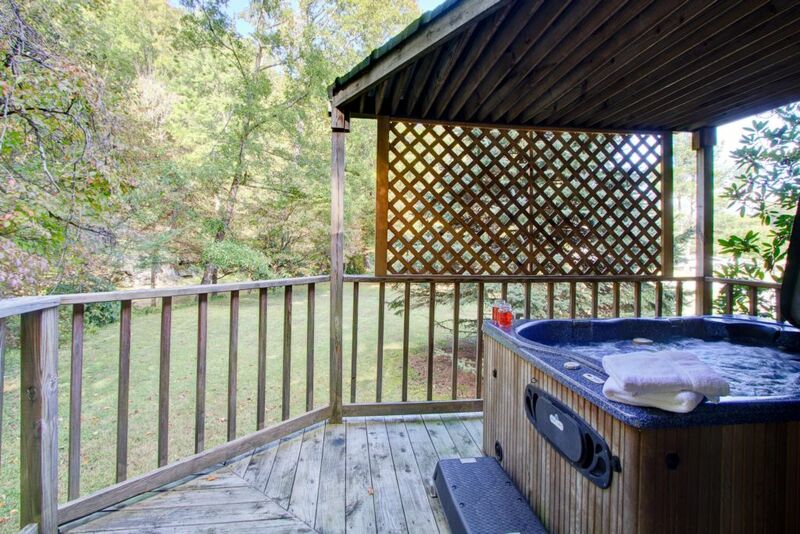 There is a firepit near the creek.